Long gold chain necklace by Amor Fati. 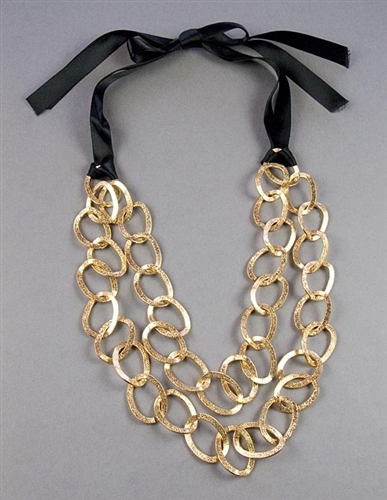 This trendy necklace features 22x34mm textured links and can be worn in three different ways. Doubled with the satin ribbons, long or doubled on its own. 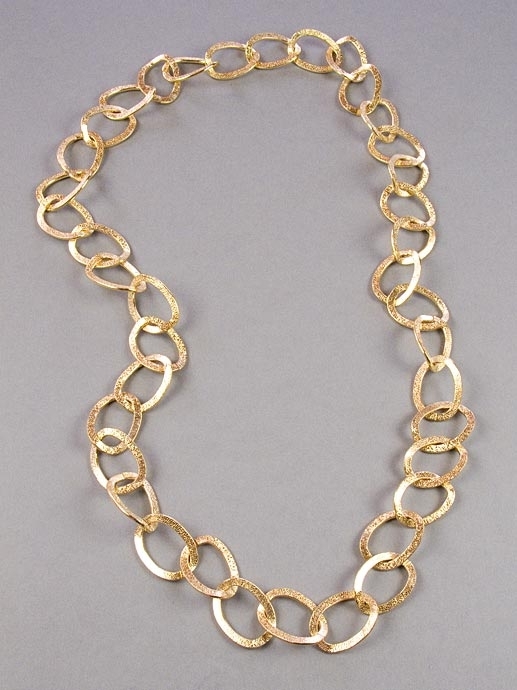 Necklace measures 100cm/39.4" in length.